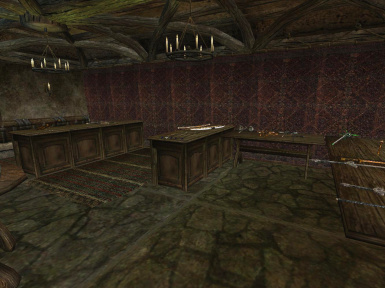 This mod adds a free player house of your very own in Balmora. As the years passed Vincent became sad and lonely and in desperation built the Lighthouse on top of his house to guide his son back home. 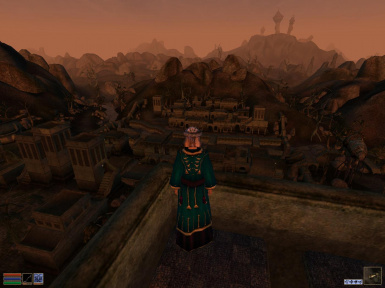 He took in a lone adventurer to keep him company and help find his son. Every so often the adventurer would go on an expedition to search for the son and usually came back empty handed. After one such trip he returned to find the old man had passed away, ...but left him the house. 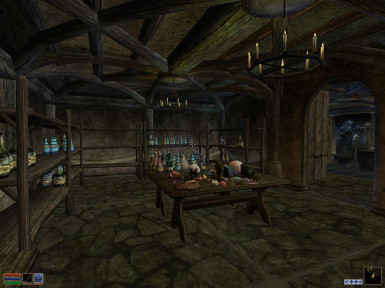 First floor: Storage area for weapons. 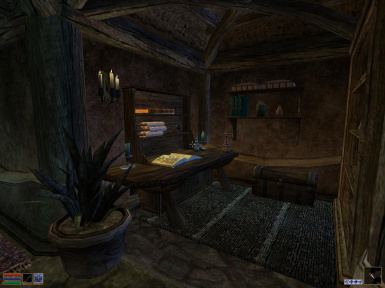 Second floor: Desk for important stuff and containers. Bookshelf and container. 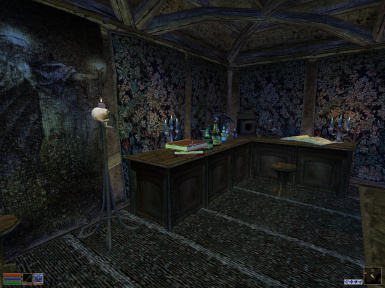 Mages room with storage area for potions and ingredients. 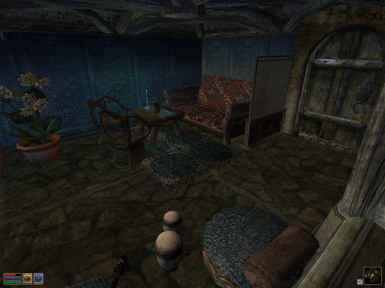 Third floor: Two bedrooms with storage and a balcony for ending a good days adventure. 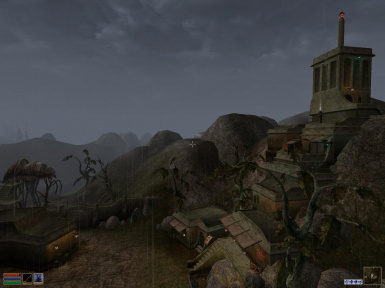 and a sight for sore eyes after questing. 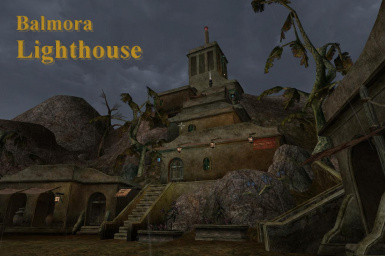 Download, extract and drag “MO Balmora Lighthouse.esp” to Morrowind/Data folder. I only edited the landscape around the house and added two cells, no scripts. Cleaned the mod with Wrye Mash. 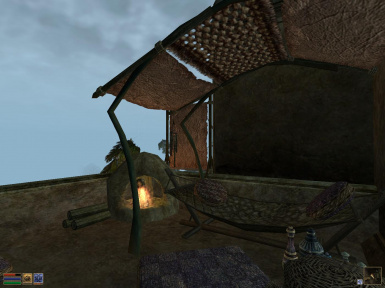 If you already have a house with too many items to carry and would like to move to Balmora Lighthouse then you can use the mod “Carry More or Less” http://www.nexusmods.com/morrowind/mods/30831/? by Illiotibial to make it easier. Don´t forget to backup your save files if you later decide not to use this mod. I have been using this mod for some time now and wanted to share it. 1. Smoke lowered into chimney. 3. Added some chests to the storage room.